The Peninsula on Norris Lake is quietly becoming a most sought-after address. An ideal setting for those looking for an exclusive and private lakeshore slice of paradise in East Tennessee. Unsurpassed in beauty, the Peninsula in Lafollette, TN is one of the premier lakefront communities nestled on Norris Lake. Residents enjoy picturesque views in nearly every direction. Set in the cool elevation of the Cumberland Mountains, the property's dramatic mountain to lake terrain is extremely unique. 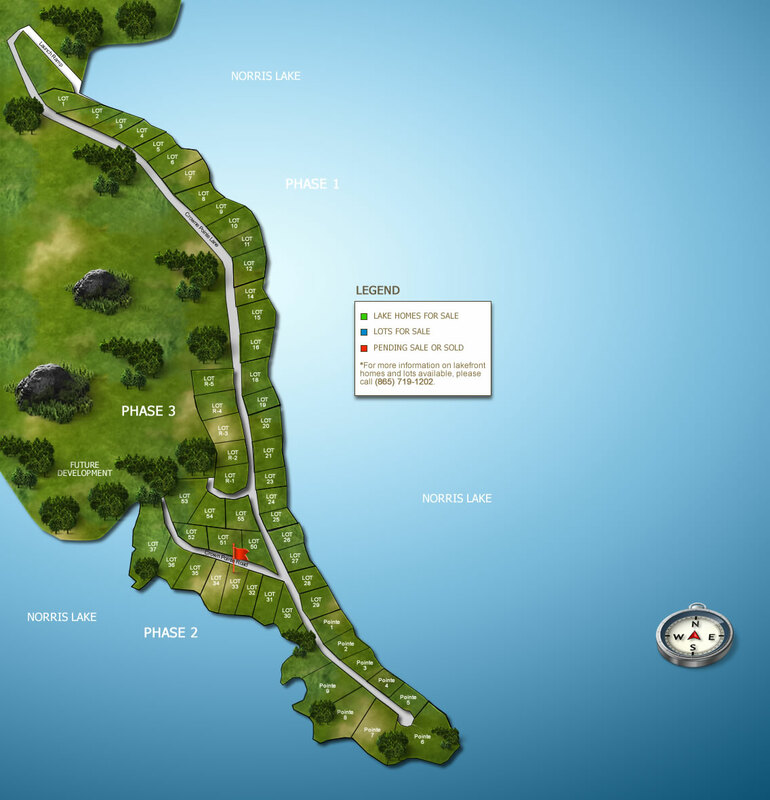 View prices on Norris Lake real estate for sale at the Peninsula by hovering your cursor over the lots on the master plan. Property descriptions and details available below.